The Lucknow Zoo was established in the year 1921 and was previously known as The Prince of Wales Zoological Gardens. 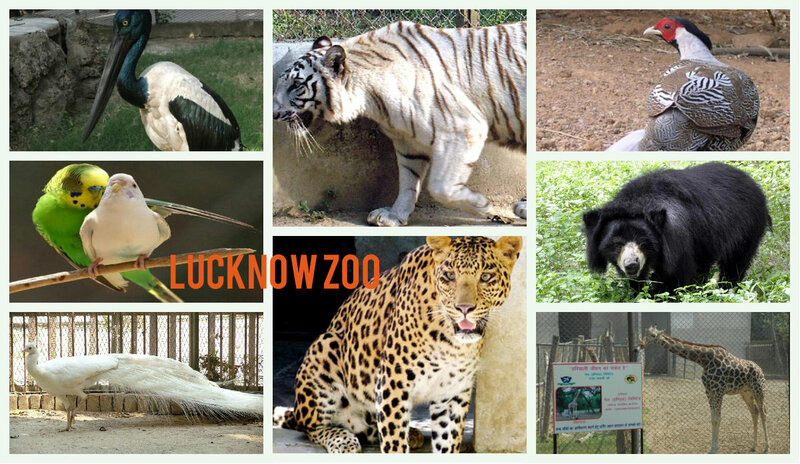 The zoo is spread over an area covering 71.6 acres and situated in the Lucknow city. The zoo is managed by a trust called Zoo Advisory Committee and the daily management is looked after by the officer who is posted as the director. The zoo is very famous and visited by great enthusiastic numbering nearly 1,100,000 annually. It is home to two hundred and ninety eight birds, four hundred and sixty three mammals, and seventy two reptiles. An amazing number of ninety seven species are found here like the Royal Bengal tiger, lion, wolf, white tiger, Golden Pheasant, Indian Rhinoceros, Himalayan black bear, Hoolock Gibbon, Black Buck, Swamp Deer, Barking Deer, Asiatic Elephant, Giraffe, Common Otters, Hog Deer, Zebra, Hill Mynahs, Giant Squirrels etc. It is also used as a breeding ground for Indian Wolf, white Tiger, and Black Buck. The orangutan enclosure is very famous and liked by everyone. In the year 1969 the Toy Train services were started and on Children’s day the then Chief minister inaugurated this service. The 1.5 km track starts from Chandrapuri Station and travels extensively to all the parts of the zoo. Later, the services were disconnected and the train has been parked in the premises of the zoo. From 2014 February a four bogey train is being operated in the zoo premises covering maximum area. The zoo is opened from 8.00 AM to 6.00 pm during the months of May-July and the zoo is also open for morning walkers from 5.00 am to 7.00 am during the months of March-September and 6.00 AM- 8.00 AM during the months of October- February. Monthly passes of Rs 100 and Annual passes of Rs 500 are available for visitors to this zoo. If a group of students exceeding 50 students come to visit together then the zoo authorities give a ten percent discount. The Lucknow Zoo should be seen and visited by both children and adults as it is a good source of knowledge and information. I clicked many pictures of various animals and birds and enjoyed my visit very much. 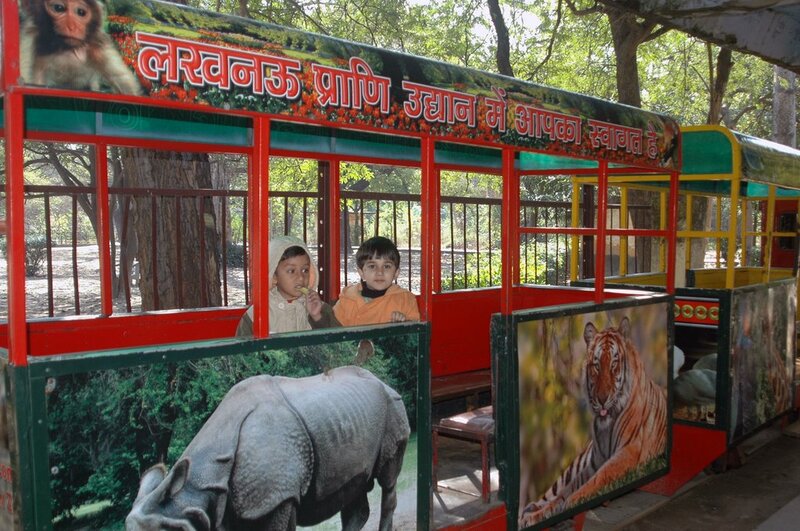 This entry was posted in Adventure, Tourist Place, Wildlife and tagged lucknow zoo. Bookmark the permalink.